History has shown that there have been disputes culminating in wars and people have witnessed that the world is full of cruelty and injustice on account of the greed for power and wealth. The continuing wars on various pretext claimed untold numbers of human lives and destruction of properties. The main issue is what have the war achieved other than shattering the lives of peace loving citizens who wanted to be close partners in their countries. The wars between countries in Europe eventually compelled Nations to realize the outcome of crimes against humanity. Having realized the disrespect shown to human rights that has ended up with the destruction of several lives, especially the weak, the League of Nations and the United Nations demonstrated the need for protection of weak States and the need for various races to live peacefully with the majority community. With the passage of time, it is history that centuries old rivals such as Germany and France have become close partners in regional organizations known as the European Union. Similarly, all races have become close partners in the Canadian society as well as in other Federal countries. The growth of democracy in Europe was a gradual transformation of process which eventually laid the foundation for Federalism as a means of bringing various communities together in an atmosphere of friendship and brotherhood. Unfortunately in some Asian developing countries, politicians have utilized the concept of democracy for their own benefit to rule as a dictator, resulted in the collapse of various institutions. Even religion was politicized. Since most of the military officers lacked the legal educational qualifications, civil officers find it very difficult to work when military officers fail to grasp the constitutional issues because of the egoistic attitude of the military officers as well as of the ruling politicians. In Sri Lanka the search for solutions to the problems faced by the Tamils rests on establishing a Federal State where the minority Tamils could enjoy equal rights in par with the Sinhalese and share each other’s values. Federalism has the force of getting rid of egoism on account of the co-ordination of the shared powers between the Federal and Provincial governments. The key element is to establish trust and confidence among all parties. Political leaders who have studied law should have known the difference between Federalism and Separation. Unfortunately the political leaders are always concerned in deviating the attention of the people and mislead them by playing the tune that they will not allow the country to be divided by external forces, (when, in fact, no one is interested in such division), without answering the difference between Federalism and Separation. 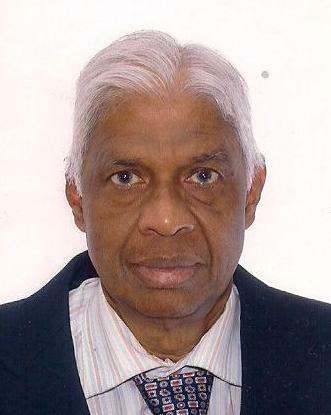 Thus the ethnic issue becomes an unfinished symphony because of the attitude of the ruling political leaders who are an obstacle for the Tamils and Sinhalese to be close partners in a united Sri Lanka. Though Sri Lanka failed to settle the ethnic issue for the last 60 years, it has stepped into the 21st century, which is a period of rapid change for which globalization played a contributory role in everyone’s life. With the advancement of science and technology people have become closer to each other. People began to view everything (including Federalism) with a forward looking attitude, and not with a backward looking attitude. The Western democratic countries have realized the significance of having a Federal State or the Federal features by cherishing the civil liberties. The challenges in those countries have been met on account of the broad-minded politicians. The introduction of Federalism in Sri Lanka depends on the change of things and change can bring challenges. Challenges crop up in the form of obstacles (by way of misleading the people) to reach the goal. Challenge is an invitation to rise to another level with intent to improve in the process where one can accomplish the task, which the Sri Lankan politicians are reluctant to take up, probably for reasons known to them. Federalism has the force of being a fruit of kindness and the realization of Federalism by political parties implies the fruit of knowledge. The spirit of Federalism signals the blessing of the people at each other – a sign of becoming close partners. The path to Federalism is a path to peace in Sri Lanka. Moreover instead of solving the ethnic issue on a Federal basis, the behavior of leaning towards China, Pakistan, Iran and some Middle-East countries, which are noted for violation of human rights, compelled other democratic countries to have distrust on Sri Lanka. Moreover, these countries are keen to have Sri Lanka to echo the voice against the Western democratic countries only, instead of finding out a meaningful solution to the ethnic problem. When international community calls for an account for violation of human rights, it is difficult for Sri Lanka to raise the issue of its sovereign rights to security, as it is also subject to the provisions of the United Nations Charter. This is not a healthy sign for citizens to become close partners in a country. 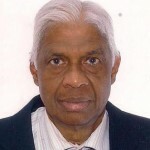 The reluctance to resettle the Tamils in their own lands and colonizing the Sinhalese in those lands demonstrates that the hearts of the Sinhalese and Tamils are at greater distance and not close for which Sinhalese politicians are instrumental, despite developments that are taking place. There is nothing wrong in Sinhalese coming to the North, but should not be colonized after chasing the Tamils. Developments alone will not eradicate the distance between the hearts of the Sinhalese and the Tamils. The results of the Provincial council election in the Northern Province is a case in point. Sri Lanka’s promises which are riddled with lies and deceptions, should focus on the meaningful devolution of powers that will narrow the distance between the hearts of the Sinhalese and the Tamils, which eventually turn Sri Lankans to become close partners in a Sri Lankan community. The Sinhalese politicians should reconsider the fruits of Federalism and not to mislead the people that Federalism leads to separation, which is absolutely false, but an expansion of democracy. It is the greed for power and wealth of the politicians that tempts a person to shout or look with suspicion at other persons and keeps them at a distance. To put it briefly, when two persons are angry at each other, their hearts are at a distance. If the shouting cannot be heard then the dispute begins. But in the case of lovers, they do not shout because their hearts are close, and they speak softly signaling that there is no room for disrespecting each other’s rights. Similarly, Sri Lankan politicians shout with the view to divert the attention of the people in order to secure their power. Their unwanted statements which tantamount to hate propaganda, prompt the distance great between the communities. It is time for every politicians to respect other’s rights in order to become close partners. Had there been a Federal government, there would be an assurance for cherishing the civil liberties and places of worship of other communities would not be targeted because of the Provincial Police. Becoming close partners means hearts should be close on every aspect of their lives. A Statesman will not engage in issuing unwanted statements had there been a Federal State. Unleash of violence paving way for tension and conflict to survive on it, is a symbol of poor governance and is not the approach to confident building measure among the communities. Sound economic policy is marred by the greed for power and wealth that tempts to adapt a malignant economic policy which allows rooms for import of unwanted items that are not required for the country. Persons engaged in such activities shout or look with suspicion at other persons and religious hatred is promoted in order to conceal all illegal business, all of which have discouraged citizens of becoming close partners in a society. As Federalism is a device to accommodate diversity, there is guarantee for religious and cultural rights. Non-violence is a theme propagated by all religions. Lord Buddha as well as all messengers of God preached the path of non-violence for establishing peace and harmony in a country. The path of non-violence is a teaching covering a very wide field such as getting rid of greed, hatred and delusion. It promotes love and compassion which it revolves with the mind to be free from attachment and not to cling on to worldly matters. It is then a person becomes a close partner in the Holy Life of God. This is what is emphasized in Dhammapada as well as in other religious scriptures. Unfortunately South Asian countries failed to abide by such conditions of Dharma whereas Canada is a Western country that abides by such conditions of Dharma. (Vide Charter of Rights and Freedoms of the Canadian Constitution). Even the EU has a Human Rights Charter. But in Sri Lanka the manner in which Tamils were massacred (which is a continuing story for the last 60 years) including the women as well as incidents that occurred after the war where even the Sinhalese were not spared, had not been realized as a defeat of humanity. Amidst such developments, there are unscrupulous Tamil scoundrels (even the LTTE sympathizers) utilizing even Gotabaya Rajapaksa’s name for favours to mislead the innocent Tamils and swindled away with the collection in billions and also engaged in the operation of gangs to attack and plunder the wealth of Tamils. Meanwhile people are also reluctant to lodge complaints at the Police Stations because they too are in possession of undeclared money. This is a complex situation. This is something similar to the situation that prevailed in France after the French Revolution, though there are three races in Sri Lanka. In addition, Sri Lanka spends more on warfare and on suppressing the opposition. Good governance which is a stepping stone for citizens to become close partners, has become a questionable issue amidst such an atmosphere. Federalism affords an opportunity for a person to live by righteousness and for righteousness which is the essence of Buddhism as well as of other religions, because of the shared powers. But in Sri Lanka, political leaders have failed to uphold these lofty ideals for the betterment of mankind. It is for the Sinhalese and Tamils to realize that the main purpose of the religion is the unfoldment of the Divinity within man as stated by Swami Sivananda. As several thousands of innocent Tamils died as a result of the military operation, it does not mean that the Tamils should take revenge. There are Sinhalese who have witnessed this episode, but are voiceless. Even Emperor Asoka realized that the weak and the poor can only surrender their worries to God as there are no options when the powerful rulers are all out to destroy. The mighty rulers should realize that they came with nothing at birth and they would not take anything at death, other than the good deeds which have free access to the God’s kingdom or sanctuary. If he realizes this truth, he will never engage in conspiring to commit unlawful crimes against humanity, because the expectation of God are to be honest, love everyone and never hate. It is egoism that prompts a person to commit crimes at the expense of the suffering of the innocent people. Merely paying homage to holy places will not amount to getting rid of egoism or wash out sins. Let us all hope for a change in hearts with a new glorious chapter giving prominence for righteousness which will narrow the distance to be close partners in Sri Lanka. Though there are many faiths, man should realize that God is only one but people call him by various names. God never causes wickedness. He has a loving purpose for humans which I think Canada has put in practice, because it is concerned of the welfare of every of its citizens whether they are in Canada or outside Canada – a lesson that Sri Lanka should follow. God puts us all in each other’s lives to impact one another in some way. Look for God in others as all souls emanate from the Supreme Soul. Upon realizing the nature of God, a vital issue arises whether we as humans have a right to torture and humiliate others instead of accepting others as close partners in a community of a country. The truth of all religions is that everyone in this world have to live together without any disputes and discriminations. Calling the ethnic community as parasites reflects the uncivilized culture in God’s language. Discriminations resulting in disputes are man-made, while living together on equal basis is God-created. Federalism denotes living together.